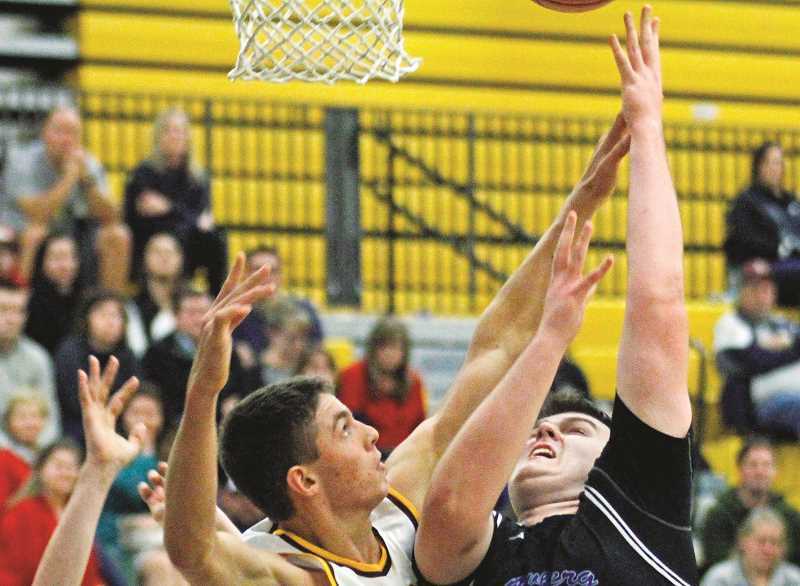 Just when Forest Grove seemed to have pulled away Friday night in the season opener, the Newberg boys basketball team put their best foot forward. Leading the charge was junior wing Alex Jaczko, who scored 20 points for the Tigers and headlined a fourth quarter rally that included 13 straight points. It was enough to get the visitors within three points, but not enough to put them over the top as the Vikings held on for a 69-61 victory in Forest Grove. "We had a nice run in the fourth thanks to Alex (Jaczko) and we gave ourselves a shot, but we have to find a way to play that way early on," said NHS coach Mark Brown. "Alex is a young guy without a ton of varsity of experience, but we have high hopes for him and he's been stepping up for us on and off the court." The game was close for most of the first half, with Newberg jumping out to an early edge before Forest Grove seized its first lead at the end of the first quarter. The Vikings got eight straight points from Adison Emerick to start the second, then opened up its biggest lead of the first half when — after standout point guard Kyle Thompson left with an ankle injury — it closed with an 8-2 run to take a 34-29 lead to the break. Thompson returned in the second half, but on this night it wasn't about him, but rather the Viking's suffocating defense which allowed them to widen the gap in the third, getting a couple of huge offensive rebounds to keep possessions alive. It's something coach Greg Evers is trying to instill in his team in the absence of the type of offensive firepower Forest Grove's been accustomed to in years past. "If we can't score like we did last year, we have to get those points back on the defensive end," Evers said. "We can do that by playing sound defense and crashing the offensive boards. And we're getting better." Whether due to the Vikings' defensive effort or a lack of offensive production on Newberg's end, the Tigers ultimately lost the game during that third quarter stretch. It was something Brown attributed partially to Forest Grove, as well as his team's mistakes. "I think we played well in stretches, but we can't send a team to the line 40 times and expect to win, nor can we put ourselves in a 17-point hole," Brown said. "Credit to Forest Grove and credit to Kyle Thompson, he battled through an ankle injury and we thought if he went out we had a chance because everything goes through him. But he's such a tough kid and he proved it tonight and we had a lot of focus on him and it left guys open, and they made the shots." Newberg (0-1) hosted Sheldon Tuesday in its home opener (results unavailable at press time) and will travel to play Centennial Friday.